This South Island city has had its share of hardship – namely the earthquake that changed everything in 2011 – but in the face of adversity, the community here has shown immense creativity and strength. Christchurch has rebuilt little by little, and in blending old and new, the offering to visitors is now better than ever. A vibrant mix of dining, drinking, shopping, architecture and street art await, and the city is especially lovely when its many gardens and parks are in bloom. Ahead, we look at what to do over a weekend in Christchurch, sharing the best of the best activities for a Friday to Sunday escape. Right outside the airport, you can board a Metro Red Bus, Super Shuttle, taxi or another ride-hailing service into the city, which is around 10 kilometres away. After disembarking and travelling on your chosen transport for 15 minutes, it’s time to get comfortable. 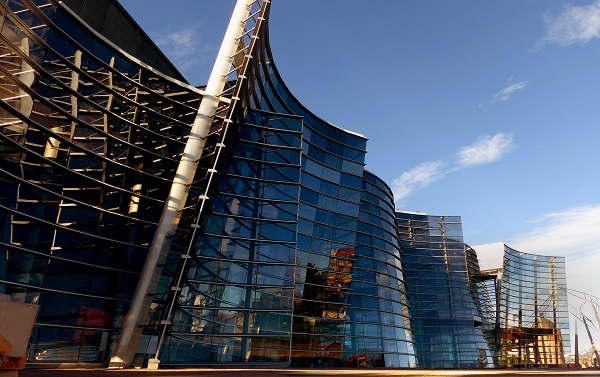 Staying in Christchurch Central or Hagley Park would be good options, as you’ll be within walking distance of the major things to do in Christchurch and have restaurants and bars at your fingertips. If you prefer a neighbourhood feel, Riccarton, Merivale and St Albans are also popular choices and not too far from the hub. Depending on how energetic you’re feeling, why not head out to one of the great bars in Christchurch? You’re on holidays, after all. The Last Word is a cosy spot in Christchurch Central with 200-plus whiskies on pour, as well as other top-shelf spirits, wines and beers; Vesuvio offers late-night tapas, wine and jazz; and the Darkroom is a local favourite with live music and entertainment in addition to its rotating taps. If you’d rather turn in and rejuvenate for an early start Saturday, however, there would be nothing silly about that. Christchurch loves its coffee, and that’s clear from the number of roasteries found around the city. If you’re serious about your morning cup, you’ll dig places such as Little Brews, Engine Coffee and The Anchorage, which serve caffeine plus small bites and sweet treats. As far as cafes, Park Ranger is a local produce-driven spot near the Botanic Gardens, Gentle Giant offers an unfussy atmosphere and a creative menu, and the ever-popular C1 Espresso is in a converted post office in town. If you fancy dining outside, grab your brekkie to go and then set up alongside the Avon River. Previously the historic heart of Christchurch, Cathedral Square is now a focus of the rebuilding effort. Once prized for its heritage structures, since the quake, all but one remains. The area is at the centre of a struggle between those who want to see it return to its former glory, and others who would prefer to see it progress. Wander through to get a sense of the space on your way to the Botanic Gardens. 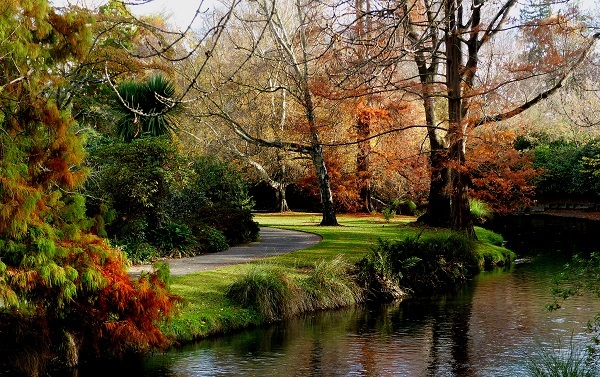 The Christchurch Botanic Gardens, Christchurch Art Gallery and Canterbury Museum are well worth dedicating a few hours to investigating. Discover impressive sculptures, greenhouses and conservatories in the gardens, a cafe, bar and design store alongside a treasured collection of art in the gallery, and showcases of the local culture and history in the museum. This street, relatively untouched by the earthquake, attracts people for its pastel-coloured, Spanish mission-style buildings, sidewalk dining and hole-in-the-wall drinking. The eateries include lots of Italian flavours if you feel like twirling some pasta on a fork, cocktail lounges if you’re up for an aperitif, and places to satisfy your sweet tooth. The old trams also run along here if you want to hitch a lift back the way you came (you can grab a day pass and make the most of its access to 17 stops, including all of the highlights, with drivers sharing insights along the way). Weave through the side streets of the CBD to see an array of colourful street art, which has spread at about the same pace as new buildings post-quake. (Watch This Space features some of the best urban artworks and an interactive map that you can follow.) Continuing your city wandering, visit The Crossing if you’re up for a bit of shopping. Numerous bars and restaurants have sprung up here recently. The experiences and cuisines range from Chinese (Pot Sticker), Indian (Mumbaiwala), comfort-food classics such as burgers (Bacon Brothers) and fried chicken (Orleans), intimate, candle-lit affairs (Twenty Seven Steps and The Bicycle Thief), and everything in between. Pick your poison and enjoy a no-holds-barred night out following the enormous number of steps you’ve clocked around Christchurch today. Having covered off the city sights, today, why not look a little further afield for inspiration on what to do in Christchurch? If the weather is hot, Sumner Beach is a suburb 20 minutes’ from the CBD where you can go for a dip or cool off inside the historic Hollywood theatre with a choc-top. If you’re keen to get outdoors, catch the gondola to Port Hills, where you can hike, bike or just take in the views across the harbour to the surrounding mountain peaks. After a little lunch, it’s time to say farewell. We guarantee you’ll be back – you might even be tempted to book your next Christchurch flight as soon as you return! Make taking off on a weekend away to Christchurch even easier by booking your Christchurch accommodation and even car hire on Webjet, as well as cheap Christchurch flights.